The first book of Samuel records for us the transition of Israel from a theocracy to a monarchy. From the time of Joshua, Israel had been governed by judges and yet every man did what was right in his own eyes. Not only were they in moral decline, but they were also constantly oppressed by their enemies. Thinking a king would solve their problems, the people asked the prophet/judge, Samuel, to appoint for them a king like those of the other nations. 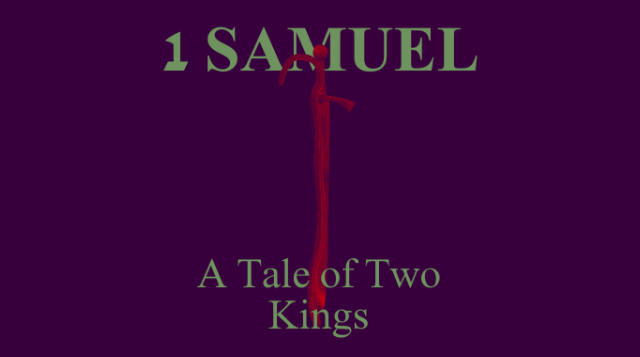 I Samuel tells us the story of God granting their request. It is a tale of two kings who teach us in many different ways our need for a true Savior and King.